Cape Cod, East Falmouth, This modern house was built in 2005.It has 3 bedroom, 2.5 baths, 1st floor master suite, great free floating deck, plus two Juliet decks off 2nd floor bedrooms (huge, front to back). Very quiet and relaxing with views on Eel River's edge. Fully equipped with flat screen TV, DVD, wireless internet, dishwasher, microwave, Washer and Dryer, patio furniture, Weber grill, etc. Sleeps 8, parking for 3-4 cars. New Washer and Dryer recently added. A/C units in each bedroom. This is a family friendly rental and neighborhood. Menauhant beach is 1.5 miles away,no stop lights on the way. 5 minute car ride. 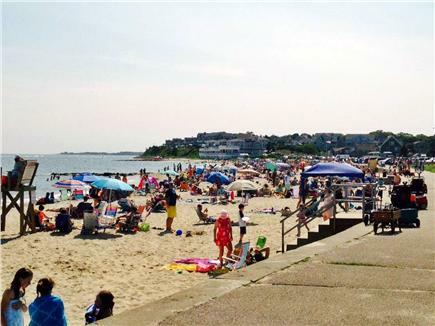 Weekly Beach parking sticker is available from the Town of Falmouth ~$60/wk. This gives you unlimited access to all 12 of Falmouth's beautiful beeches. We had a fabulous week in this house! The location was great. 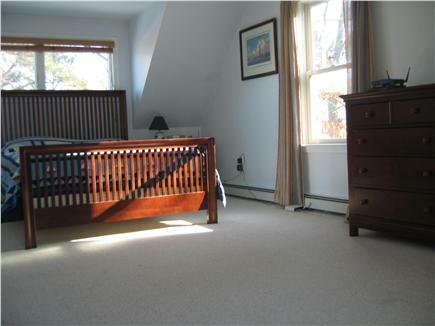 We were only minutes away from a variety of restaurants, grocery stores and Falmouth beaches. The house was clean and spacious for our family of five. The second floor laundry was especially useful. The owner was very helpful and responsive to inquiries. 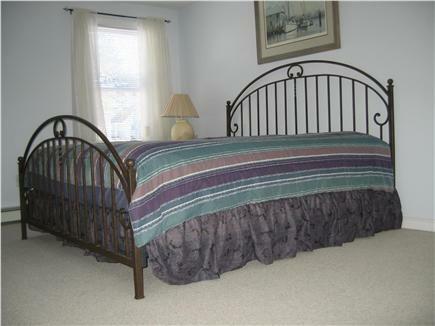 I would highly recommend this rental and I hope to be able to stay here again in the future! We couldn't have asked for anything better. From the location, to the amenities, this house has it all. The house was clean and spacious, and the homeowner is a pleasure to deal with. We definitely will be going back in the future. Beautiful spacious and very clean house. 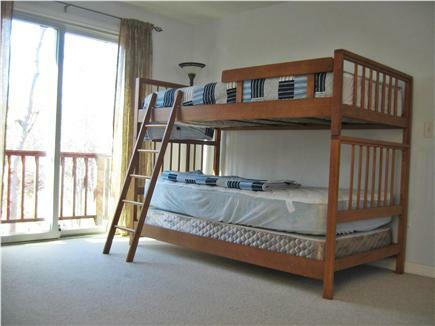 The house is very well located near grocery stores and shopping centers. Our stay was very nice and we had a great time. We were 2 families of 4 and although the living room and the dining room is in the same room, we did not feel pounded on the feet of the week! Owner very nice and courteous. I recommend this property!